FDA and USDA propose new principles for food standards of identity. The Food and Drug Administration (FDA) and the U.S. Dept. of Agriculture recently published a joint proposal to amend their regulations dealing with food standards. This activity dates back to 1995 and the Clinton Administration’s re-inventing government initiative. President Clinton directed federal agencies to review their regulations and eliminate or revise those that were outdated or otherwise in need of reform. FDA naturally set its sights on the approximately 260 pages of food standards. Some of the food standards include seemingly unnecessary provisions such as a paragraph dealing with optional crystallization inhibitors in French dressing. FDA issued an advance notice of proposed rulemaking in 1995 stating the agency intended to review all the food standards, and as part of this review was soliciting comments from interested parties on whether the standards should be retained, revised or revoked. The agency’s 2005 follow-up proposal is significantly and sensibly less ambitious. Rather than conducting a page-by-page review of the food standards, FDA is now proposing to adopt a set of principles that will govern future actions to establish new standards or revise or revoke existing standards. This is not a sweeping reinvention of the food standards, but it’s a step in the right direction. By their nature, food standards are intended to limit flexibility. This is their purpose and their weakness. Our eating habits change over time, and our ideas about valuable ingredients also change. The standards for milk and cream products, for example, often specify minimum levels of milk fat. A product sold as regular “milk,” for example, must contain at least 3.25 percent milk fat. In the past, milk fat was more often regarded as a valuable constituent. Today, it is difficult to picture FDA establishing a mandatory minimum fat content for any food. The food industry has managed to deal with the need for innovation and the existence of food standards by petitioning FDA to modify or revoke standards. However, petitions to modify food standards are well known to be a relatively low priority within FDA. In an ideal world, many of the food standards would probably continue to exist, but there would also be an efficient mechanism for their modification or elimination when such action is consistent with the interest of consumers. Another important consideration today is the effect of food standards on international trade. As U.S. food manufacturers are well aware, dealing with foreign food standards can be a frustrating experience. 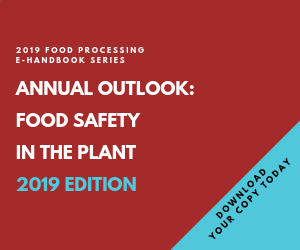 American manufacturers often question the need for official or quasi-official food standards established in other countries that seem unrelated to the safety or quality of the finished food. One might question, for example, why some countries spend regulatory resources establishing a minimum or maximum moisture content for chewing gum. No doubt, food manufacturers outside the U.S. find unexpected provisions among our food standards as well and need to modify their recipes to sell products here. In theory, any food standard that does not have a basis in sound science and consumer protection should be vulnerable to challenge as inconsistent with the World Trade Organization agreements. In practice, however, this type of challenge is not likely to occur because most governments have bigger trade issues to worry about. In this regard, one of the principles FDA has proposed states our food standards should be harmonized with international food standards to the extent feasible. Furthermore, anyone petitioning FDA to establish a new standard or revise an existing one would need to explain the reason for any deviations between the proposed standard and any existing international (i.e., Codex) standard for the same food. This is a sensible approach and one we can hope other countries will follow. Although many segments of the food industry might prefer to see them abolished, food standards are probably a necessary evil. They exist because of past abuses. Given that they will continue to exist, the food industry should aim for sensible and efficient administration of food standards by FDA and internationally. David Joy is a partner at the Washington D.C. law firm of Keller and Heckman LLP. He specializes in food and drug law with emphasis on the domestic and international regulation of food, food additives, food labeling, antimicrobial pesticides, and medical devices. He is a member of the District of Columbia Bar and holds a bachelor’s degree in chemistry. For more information about Keller and Heckman, visit the firm’s web site at www.khlaw.com.